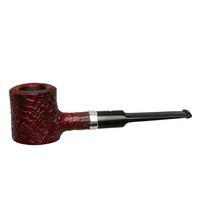 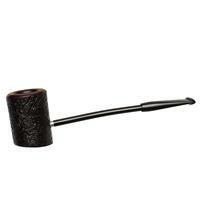 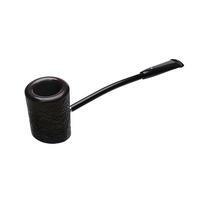 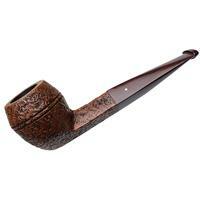 The Duke and the Don shapes from Dunhill are both long-stemmed variations of the Poker design. They're tall, cylindrical, and sit sturdily on a flat surface. However, the "44" Duke, seen here, is devoid of shank, the mortise instead inset directly into the bowl and reinforced with metal. 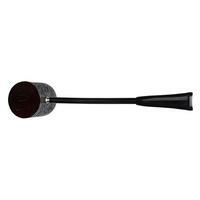 To this, then, attaches a fuselage-type shank/stem, also reinforced with metal, capped with an acrylic mouthpiece on the end. 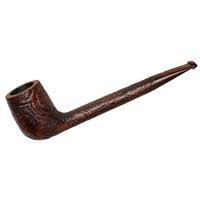 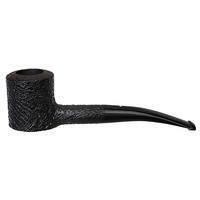 It makes for a lithe profile and iconic silhouette, here dressed in the Shell Briar sandblast, with the rim left handsomely smooth for a subtle accent. 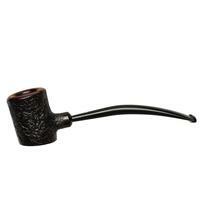 Bowl Height: 1.94 in./49.25 mm. 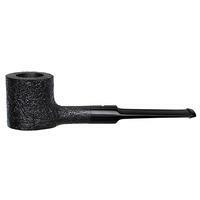 Chamber Depth: 1.35 in./34.26 mm. 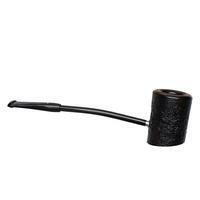 Chamber Diameter: 0.82 in./20.91 mm. Outside Diameter: 1.41 in./35.77 mm.